NEW DELHI: The slowdown in exports may mark the beginning of trouble ahead, said exporters a month and half after the goods and services tax (GST) rollout. Consider this: Consignments worth Rs 300 crore of handmade carpets were held back last month. While issues regarding the refund mechanism and blockage of working capital have been flagged frequently, exporters said their worries are now spiralling and getting reflected in production and overseas clients looking elsewhere. On Monday, official data showed exports slowing to an eight-month low in July in the current 11-month cycle of growth of exports with shipments remaining stuck in factories in the first week of last month. The steepest decline was in traditional labour-intensive sectors such as gems and jewellery, readymade garments, pharmaceuticals and carpets, where the incidence of subcontracting is high. July saw a 40% decline in production of handmade carpets from the year earlier as shipments were held back because exporters were unclear about the paperwork involved in GST. “We are getting price resistance from importers in the US as they are concerned about the price rise that would be passed on to them,” said Mahavir Sharma, chairman of the Carpet Export Promotion Council. 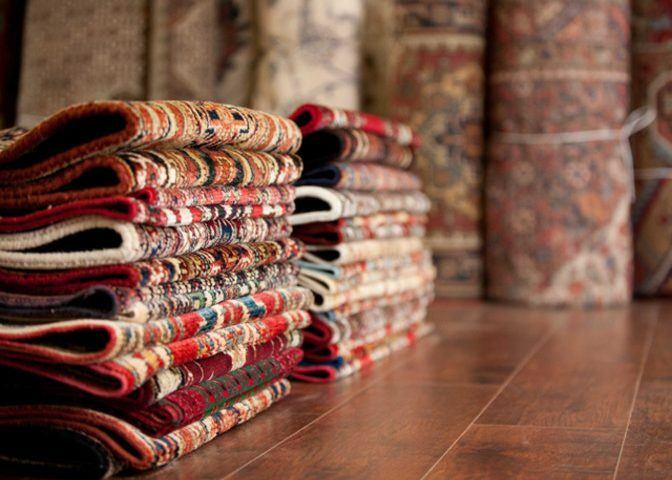 India exports close to Rs 10,000 crore of handmade carpets each year. The apparel sector too is feeling the stress, especially because of the GST levy on job work, which translates into a higher tax incidence. Amit Goyal, managing director of Mumbai-based Sarju International, a medium-sized company, said overseas clients are not willing to increase prices because they say that’s the competitive advantage of sourcing from India. On a $5 garment, almost 20-30 cents are getting blocked due to the pay first-refund later mechanism of GST. “Till June, we were growing at 10% but there was no growth in July. The next three-four months will remain like this,” Goyal said. Vishwanath , managing director of Nath Brothers Exim International Ltd, said: “In the July-September quarter, on a turnover of `10 crore, we can claim drawback of Rs 50-55 lakh. However, in that case we will not be able to claim the GST refund of `35 lakh and that would be a loss for us.” A Delhi-based garment exporter said customers in the US and European Union are unwilling to bear the rise in prices. “They said they’d import from China. We will renegotiate with them in a few months’ time,” he said.“Many of our domestic clients have given a directive to buy only those products which are taxed at 12% and not 28%,” said OP Prahladka, chairman of the Export Promotion Council for Handicrafts. The same is the case with leather, another traditional export sector. “Though GST is not affecting our orders, it has raised the financial cost and lead to a crunch in working capital,” said Rafeeque Ahmed, chairman of Chennai-based Farida Group, one of India’s largest shoe manufacturers and exporters. However, he added that production could get hit in the next two-three months.